Zygmunt Wojcicki, 80, of New Britain, passed away on Saturday, Sept. 15, 2018, at the Connecticut Hospice in Branford. He was the beloved husband of the late Cecylia (Michalak) Wojcicki. 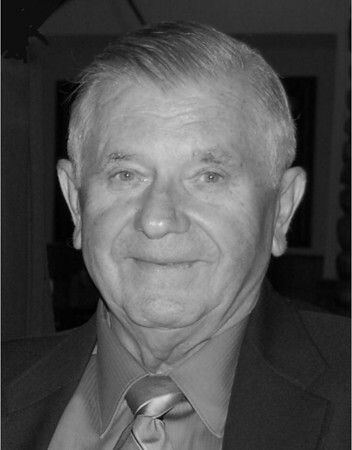 Born in Poland, he immigrated to New Britain in 1965 and was a member of Sacred Heart Church. He retired from Atlantic Machine Tool Works, Newington, in 2002 after 35 years of employment. Zygmunt loved spending time in the outdoors with family and friends, deep sea fishing, ice fishing, working in his vegetable garden and at Rocky Neck Beach. You could always find him tinkering with electronics or various projects around his home. A loving father and grandfather, he leaves his two sons and daughters-in-law, Mark and Caroline Wojcicki of Kensington, and Andrew and Diane Wojcicki of Southington, and four grandchildren, Mark Jr., Devin, Emma, and Sophie. Relatives and friends are invited to call on Thursday, Sept. 20 from 9 to 10 a.m. followed immediately by a funeral service. He will be laid to rest beside his wife in Sacred Heart Cemetery, New Britain. His family would like to extend their gratitude to the nurses and staff at Connecticut Hospice for their care and compassion. Memorial donations may be made to Connecticut Hospice, 100 Double Beach Road, Branford, CT 06405. To share a memory with his family, please visit us at burritthill.com. Posted in New Britain Herald, on Monday, 17 September 2018 20:54. Updated: Monday, 17 September 2018 20:56.